On Monday, November 27, at 8:00 and 11:00 PM Eastern and Pacific, Giorgio will appear on the National Geographic Channel in a program called "Is it Real? Ancient Astronauts." The program will be aired again on December 4th and 5th. Check the National Geographic Channel schedule for times. Last May, the National Geographic Channel contacted Legendary Times to participate in an interview for a segment on their "Is it Real?" documentary series, to which we agreed. What does this mean for Legendary Times? Even though I've been told repeatedly by the producer and director of this particular episode, that the show will remain objective and unbiased, chances are we'll be ripped apart in mid-air. That's simply the nature of the beast. "Ignoring common sense and reason, people continue to believe in a host of supposed "supernatural phenomena." In a brand new series, National Geographic Channel exposes the myths and malarkey behind enduring modern-day tales of the unexpected. Is it Real? - decide for yourself." So, the painting's on the wall. Regardless, I'm a big believer in "There's no such thing as bad publicity." Still, one "safety net" that I've implemented for myself was that while I was interviewed, I had a tape recorder on my desk in plain view of the television crew. I told them that I'm recording the entire interview so that none of my statements could be edited and taken out of context. The fact that the crew agreed to the recording, is a rather positive notion. There is at least one well-known debunker that I know of who was also interviewed for this particular program. So, the debunkers who will appear on the show will say what they always say, there's nothing we can do about that. The main reason why debunkers do what they do is because they're threatened by us exposing the Truth. Remember the fanatical debunkers of yore who tried to ridicule and deny the revolutionary notions that the Earth wasn't at the center of the Universe? That the Sun didn't revolve around the Earth? That the Earth wasn't flat? That the sound barrier could be broken? That you wouldn't die if traveling faster than 30mph in a car? It's only a matter of time before "our side" will become accepted by the mainstream. It's no longer a matter of "if", but rather "when"... but until then, we must pull together and marshal our forces by actively supporting independent causes such as Legendary Times and the Ancient Astronaut movement. Let's see what happens! One way or the other, please tune in, this is an exciting program to look forward to! If you haven't been over to www.legendarytimesbooks.com lately, now's the time to check it out, we're adding new titles weekly. Thank you for your continued faith and support in everything we do here at Legendary Times. Giorgio Owner, Legendary Times Books. Controversial. Uncensored. In this interview, Jerry and Giorgio discuss the November 27th 2006 National Geographic show in which Giorgio is featured, along with the two main icons in the field of ancient astronauts, Erich Von Daniken and Zachariah Sitchin. Giorgio is Director of Research for the Center for Ancient Astronaut Research in San Diego, California, which he co-founded with Von Daniken in 1998. Have astronauts visited Earth in ancient times in order to give mankind a needed technological boost from time to time? How does this theory coincide with ancient texts from every ancient culture that indicate this is exactly what happened? Listen as Jerry and Giorgio discuss this fascinating topic in great detail. Listen to Part One of the WMA version of the interview. Jerry talks with Giorgio about how he and his researchers have traveled the world over, examining ancient artifacts and religious texts to gather information to confirm possible evidence of the ancient astronaut theory. He uses the term, “misunderstood technology” to explain why every known ancient culture has sacred texts which describe gods, angels, and super-humans as having brought wonders to civilization in the ancient past. He tells Jerry how this interpretation became religion and false worship and, in his opinion was the beginning of the mess that we are in today, on every level. Listen to Part Two of the WMA version of the interview. Jerry asks Giorgio to explain the debunker’s theory of the ancient astronaut evidence. Giorgio points out that the debunkers invariably have never read any of the literature on the subject so they have nothing to support their rebuttal of the growing physical evidence. What stands out for Giorgio the most are the ancient megalithic sites, where conventional archeology tells us that, “…we built all this stuff when we walked out of a cave.” He points out that if we couldn’t do it today (which we can’t), it’s hardly likely that any technologically-inferior ancient culture would be able to achieve construction of these sites. Giorgio is most impressed with a little-known place in Bolivia, called Puma Punku, which he describes in detail. He also likes to point out as evidence of sites such as this and the Giza pyramids being built by a technologically superior race is that as we go through time up to the present day, copies of the original have been increasingly sub-standard and inferior. He is less interested in what will happen in 2012 than he is in the fact that the archeological evidence points to the date of August 11, 3114 BC as being the date when the “gods” first arrived. 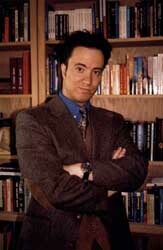 Giorgio A. Tsoukalos is the Chairman and the Director of Research at the Center for Ancient Astronaut Research (A.A.S. R.A. - Archaeology, Astronautics and SETI Research Association) and the Publisher and Editor in Chief of the A.A.S. R.A.'s official Quarterly Legendary Times. LT is the world's only and definitive Ancient Astronaut Journal. The A.A.S. R.A. is determined to prove, using scientific research methods, but in "layman's terms," as to whether or not Extraterrestrials have visited Earth in the remote past. The A.A.S. R.A. (or Center for Ancient Astronaut Research) was founded on June 17, 1998, by co-founders Giorgio A. Tsoukalos and Ulrich Dopatka as Erich von Daniken's (Chariots of the Gods) official international research organization. For over a decade, Giorgio A. Tsoukalos has devoted his life to the scientific study of the Ancient Astronaut Theory, which includes the detailed analysis of ancient scriptures, ancient drawings, and mysterious archaeological monuments and artifacts. He has written numerous articles about the topic, which have appeared in publications all around the world. 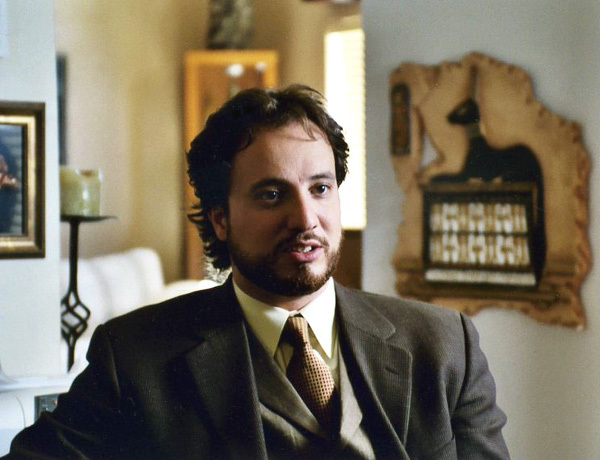 Mr. Tsoukalos has conducted research, collected factual data, and uncovered strong supporting evidence for the Ancient Astronaut Hypothesis. Giorgio has traveled the world extensively and has conducted and participated in several expeditions and swashbuckling adventures to the remote corners of the planet in search of the mysterious. 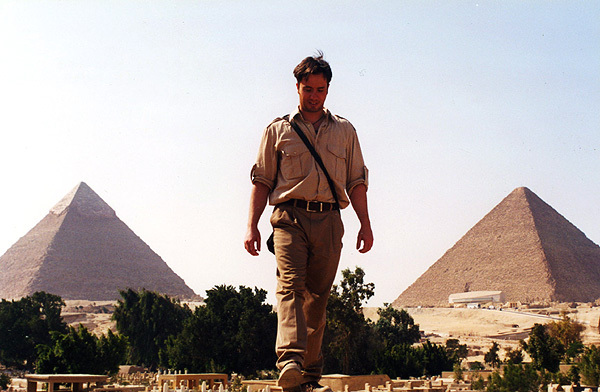 In his Quest to uncover the Truth he has traveled hundreds of thousands of miles, seeking out strange archaeological artifacts and monuments which will further strengthen his research. Over the years, he has gained first-hand access to, photographed and measured ancient artifacts and other archaeological relics not currently accessible to the general public. 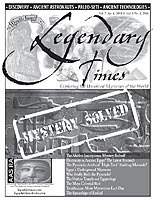 As one of the leading scholars and lecturers in the Ancient Astronaut field, Mr. Tsoukalos has created the world's only and definitive Ancient Astronaut Journal, Legendary Times, and the world's most popular website dedicated to the Ancient Astronaut Theory, www.legendarytimes.com, both jam-packed with exclusive research articles written by many leading researchers, including Mr. Tsoukalos, available nowhere else. Born in Lucerne, Switzerland, Giorgio A. Tsoukalos is of Greek and Austrian descent and fluent in five languages; English, German, French, Italian, and Greek. He is also proficient in Spanish. Giorgio grew up near Basel, Switzerland, spending the summers on the Greek Islands, and the winters in Innsbruck, Austria. He was educated at Institute Montana, an international boarding school in the heart of Switzerland on top of the Alps and has acquired a Bachelor's degree in Sports Information and Communications at Ithaca College, NY. 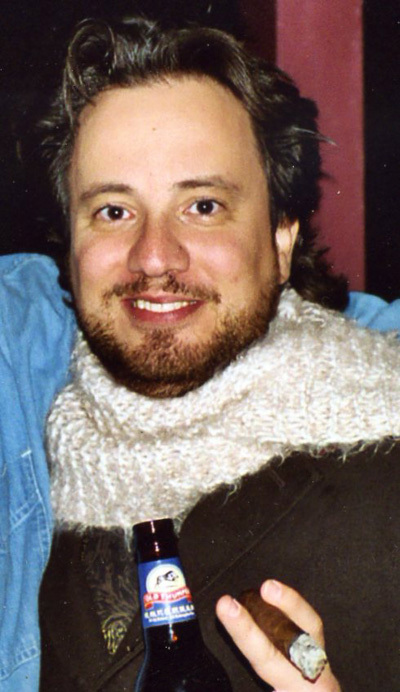 Before dedicating his life full-time to the Ancient Astronaut Theory and the Mysteries of the World, Tsoukalos was a professional bodybuilding promoter. For 6 years he promoted, produced and directed the IFBB San Francisco Pro Grand Prix, an annual cornerstone event in professional bodybuilding.